Mitsou Lefebvre-Lafrance never realized that the piles of books, papers, clothes, collectibles and craft supplies that covered every surface in her Montreal apartment were a problem until she needed to move to a smaller space. But as the move approached, she suddenly realized she just couldn't, or didn't know how to, let anything go. "For me, (hoarding), it was a kind of protection, a void, an identity, too," said Lefebvre-Lafrance, 43. "Objects that were given to me represented people, and it felt I was rejecting the person when I threw out the object." 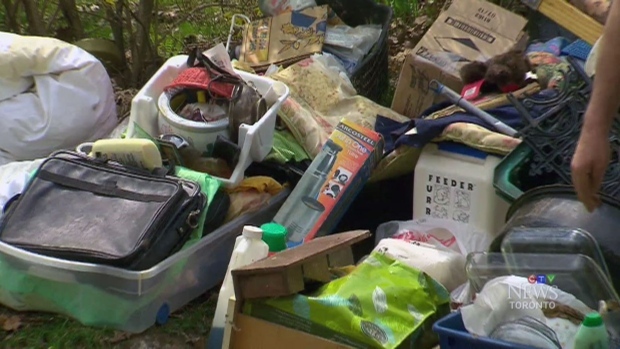 On Thursday, citizens like Lefebvre-Lafrance joined doctors, social workers, city workers and emergency services in Montreal for a symposium on compulsive hoarding disorder, with the goal of creating awareness of the little-understood condition. The disorder, which is believed to affect between two and six per cent of the population, occurs when a person forms such a strong attachment to the objects around them that they can't discard them, even as their spaces become unlivable, doctors say. The most common objects are clothes, books, cards, documents and household decor, but can include almost anything, even animals or food. Pierre Rondeau, a mental health physician who spoke at the symposium, characterizes it as a "hidden disorder" that most sufferers are reluctant to discuss with their family or doctors. "People are ashamed of their situation," he said. "They could be functional in their life, but living in a non-functional house. But they don't talk about it, or bring people over." But for Lefebvre-Lafrance, ending the isolation brought on by the disorder was key to breaking its hold. Like many compulsive hoarders, she also struggled with other forms of mental illness, including anxiety, depression and social phobia. As she sought treatment, she met others like her, which helped her to begin addressing her attachment toward her possessions and creating a functional living space, although she admits she still likes having things around her. After seeking help in 2006, Lefebvre-Lafrance helped to form a peer support group that is run out of a local health clinic in Montreal's Verdun borough. Since then, their initiative has expanded to include a 30-person committee that includes community workers, therapists, fire services, building inspectors and compulsive hoarders. The goal is to lobby for improved services and support for people with the disorder, as well as encouraging them to reach out for help before things get out of hand. Natalia Koszegi, a clinical psychologist who studies the disorder, says that too often, interventions only occur at "crisis level," when a person is facing eviction or extreme pressure from landlords, family or building inspectors. 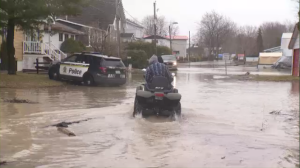 But while people may feel clearing the home is an emergency, she says what's needed is patience and the co-operation of various actors, including city workers and firefighters enforcing city bylaws. "It takes authority, so the hoarder knows that's it's serious and they have to (get rid of the) clutter, but it also takes help to support the person, to work with them," she said. "It's a job for a lot of people." While hoarding runs in families, it's unclear whether that is due to genetic or environmental factors. Koszegi would like to see more studies on long-term treatment options, although she stresses that people can generally manage the disorder with a combination of self-awareness, therapy, and support from family, friends and peer support groups. Encouragement, she says, is better than criticism. "A person who succeeds in taking out one bag of stuff is a victory, and family and friends need to realize that and encourage it, even if there are 50 bags left to do."